Mitchell K. Rauch M.D., F.A.C.S. Dr. Rauch received his medical degree from Albany Medical College in Albany, New York. He completed two years of General Surgery training, followed by four years of Urology at the University of Miami. He then went on to complete a Fellowship in Urologic Oncology at UCLA Medical Center in Los Angeles, ranked one of the top 5 urology programs in the country by US News and World Report. While at UCLA he was a Clinical Instructor in Urology and was the author of several book chapters and articles on the subject of Urologic Cancer. Dr. Rauch is an active member of the medical staff at Boca Raton Regional Hospital, where he served as Chief of Surgery from 2003 to 2006. He is a Clinical Affiliate Assistant Professor at the University of Miami Miller School of Medicine at Florida Atlantic University, and serves as Voluntary Assistant Professor of Urology at the University of Miami. Dr. Rauch is board-certified by the American Board of Urology and is a Fellow of the American College of Surgeons. In addition, he is a member in good standing in the International Association for Physicians In Aesthetic Medicine. He has been in practice in Boca Raton since 1999. Rauch Wellness and Aesthetics is now open and is providing cutting edge treatment for a variety of cosmetic procedures as well as medical weight loss. 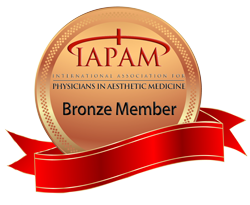 Dr. Rauch is a proud member of the International Association of Physicians in Aesthetic Medicine and is committed to helping men and women look and feel their best.